Google has named content and links as its top two ranking factors that affect how well a website will perform in organic search results. As such, links have a wild history of being manipulated and spammed, making their acquisition risky but still important. A September 2016 update of Penguin, Google’s link analysis algorithm, has brought into sharp focus the sophistication with which Google judges links. SEOs must closely evaluate their every link, and be honest about its value to the brand. Search engine link disavowal tools are needed in today’s link penalty environment. These tools cut ties between a site and links pointing at it that might be seen by engines as dark marks. As with all powerful tools, the disavow tools come with questions about proper use and concerns for abuse. DisavowFiles is a free crowdsourced database and SEO tool that gives users insight into their websites’ backlinks. This tool was the buzz of SMX Advanced when it launched because it offers previously missing data that simplifies the process of backlink evaluation and disavowal. Read more about the free DisavowFiles tool in our announcement post. Quality backlinks are a requirement of healthy search rankings. But it’s clear from the mouths of the search engines that you can’t go very far if your site is associated with off-topic or spammy inbound links. While it’s important to attract good links, it’s just as important to remove bad ones. This is why link pruning is a critical task of SEO. A problem arises, however, when you’re stuck with a few bad backlinks. If you can’t get them removed, how do you avoid a search engine penalty for these backlinks? Fortunately, both Google and Bing have an answer: each search engine has a tool for disavowing links, or telling them the backlinks that you want them to ignore. 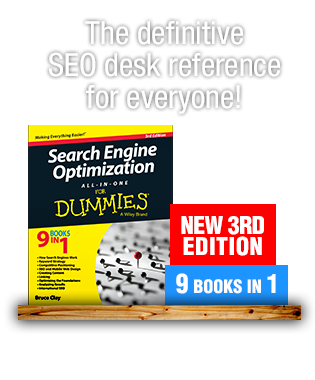 The search engines’ disavow links tools can help your website in many ways. 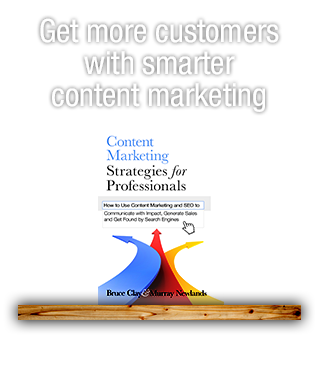 First, it can improve your inbound link profile. Disavowing a low-quality backlink essentially blocks it from the search engines’ considerations. If a search engine feels that a low-quality link is dragging down your trust factor, removing that link via disavow can help your site regain some of that trust. In fact, we’ve seen that getting rid of low-quality backlinks can provide positive results in a way similar to attracting quality links to your site. Of course there are exceptions, which is why it’s very important to properly evaluate your links before using the tool. Another benefit to using the tool is the opportunity to discover negative SEO. While gathering link information, you might find artificial links pointing to your site that you had no part in generating. If you are indeed negatively targeted by your competition, asking nicely to remove the links may not work. While rare, negative SEO is a great example of when disavow links tools can stop poor-quality links from harming your site. Are you affected by Google’s Penguin penalty? Are you a victim of negative SEO? How do you know if you have backlinks that others have disavowed? Would you like to know if another site has disavowed your pages? With the launch of DisavowFiles.com, we help to answer the questions above and aim to bring SEOs peace of mind. Every site can benefit from this free service. Start using DisavowFiles for free here. Who Needs a Disavow File? So do you really need this tool? Why? There are many reasons disavowing links might be the right choice for you, the first of which is: “Not everyone has a perfect link profile,” says Robert Ramirez, former SEO Manager at Bruce Clay, Inc. Following the launch of Penguin 4.0, Google representatives confirmed the usefulness of disavowing links for backlink clean-up. Once you’ve worked to remove as many low-quality, off-topic, or spammy inbound links from your site, if you’ve found you’re stuck with a few stragglers (which is very common), the disavow links tool might be the best way for you to avoid current or future penalty. You might also want to use the tool if you’re turning a new leaf in your SEO strategy. You or a past vendor may have consciously created unnatural backlinks in the past. 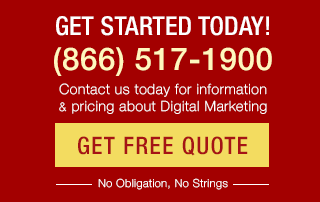 Whether or not you have been penalized for these backlinks yet, you’re eager to follow the search engines’ guidelines. Using this tool helps you to get on the path of SEO best practices. Here are other very important reasons you might need to use the disavow links tool. If you fall into one or more of the categories mentioned above, the disavow links tool might be the best option for you. That said, there are drawbacks and limitations to disavowing links. No control of insight into the disavow data black box: The search engines take disavow information from users – a list of URLs or domains you want ignored. What if we could tap into some of this data? Disavowing links may backfire on the user. Sites may inadvertently damage their link profile during a clean-up effort. Ramirez notes that this often happens to sites with manual penalties. “You’re forced to prune links that still have value in your effort to appease Google. You end up getting unpenalized, but your link profile is severely depleted as a result.” We stress the importance of using search engine disavow tools with the help of a professional. Imagine if you could see which of your backlinks other sites have disavowed. Imagine if you could see if a site has disavowed your site. Information like this would enable the SEO community as a whole to combat inbound link spam. The tool we released has addressed these issues. Google’s disavow tool requires you submit a list of the domains and pages you wish Google would ignore when evaluating your inbound link profile. 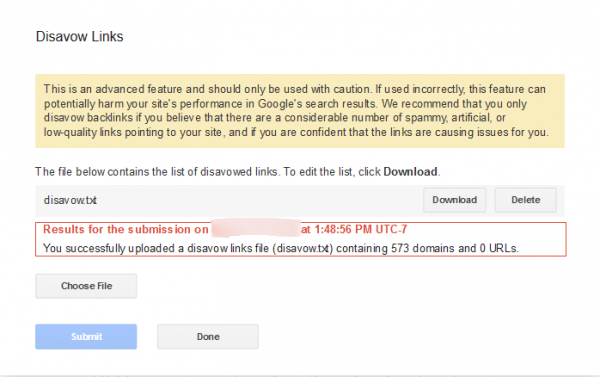 The first step to using the Google disavow links tool is to create a .txt file. Per Google’s instructions, this file type has to be a.txt file encoded in UTF-8 or 7-bit ASCII. Within this file, list the URLs and domains you want to disavow; each domain and URL should have its own line. To include a domain-level link in the file, add “domain:” before the URL of the domain home page (for example, “domain:shadyseo.com”). To submit a page-level link, simply list the URL. Add notes to each submission by starting the message with “#” on the line before the URL or domain listing. Sign into Google Search Console. From the dropdown menu, select the website for which you are disavowing links. Note: If you want to remove links from or add links to your disavow file in the future, upload a new and complete file. The new file will replace the previous one. Google cautions users about the domain-level disavow because of potential damage it can cause. However, Ramirez says something a little different. 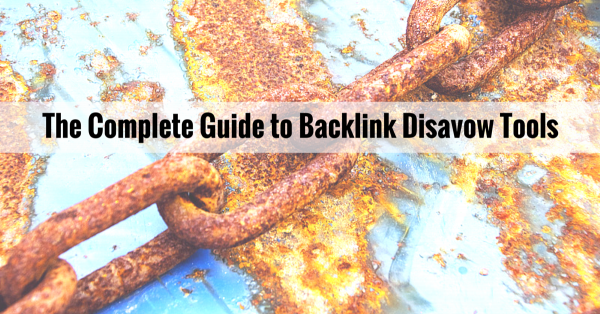 Disavowing links on the domain level is a more thorough approach to cleaning up bad links. He says he utilizes domain-level disavow often because a “link from a blog page may also be included on a tag or category index page and as more posts are added to that tag/category, the link gets pushed further into pagination.” A link can be a moving target within a site and the only way to safely extract it is by disavowing the domain as a whole. The way to use Bing’s disavow links tool is slightly different than Google’s tool because you don’t need to upload a .txt file. Instead, you manually enter each domain or URL. Log into Bing Webmaster Tools. Within the Disavow Links tool, use the dropdown menu to indicate that you are disavowing a page, directory, or domain URL. Your submission will be featured underneath the tool along with the date it was disavowed. If you want to a delete a submission, select the check box and click the “Delete” button. After you’ve submitted the links you want Google and Bing to ignore, it’s time to wait. Google says it could take weeks before it recrawls your site and “reprocesses the pages.” This might be especially frustrating if you’re waiting to recover from a certain manual or algorithmic penalty. Bing says you might not notice any dramatic changes at all! At least you can sleep a little better knowing that you’ve cleaned your house of low-quality backlinks – until, of course, it’s time to do it again. Publishing notes: This post was originally published in May 2015, then updated in June 2015 with the release of the DisavowFiles tool. It was again updated September 2016 with the announcement of the Penguin 4.0 algorithm update. The google disavow tool has helped many websites slowly recover that have been spammed on purpose. Also, another great thing is the implementation of the Penguin 4.0 update. It has really helped a lot of the websites recover as well. Melanie, thank you very much for useful information. Awesome guide of Disavow Links. Some sites want to do this because they’ve acquired links, a violation of Google’s policies, and may suffer a fine if they can’t get the links detached. you have shared pretty good content. grateful for sharing. Google Disavow is really a boon for us.We were once heavily penalized and were having manual penalties from Google.When we looked into the matter, we found many bad links looming to our site, which we never created.We tried to remove the links but were unable to do that.In that case our last hope was Disavow, & that worked.Thanks to Google. I was really aware of Disavowing Links, really thankful that you’ve shared such a useful matter with us. R. Rogerson: Yes, we agree. We do focus on attracting quality links and monitoring your backlink profile (see these two steps in our SEO tutorial: https://www.bruceclay.com/seo/link-building.htm, and https://www.bruceclay.com/seo/link-pruning.htm.) However, we felt that it was valuable to provide our readers with steps on how to use the disavow links tools because these tools are becoming more than just a last resort but “a required last step in a complete link pruning process.” Due to the sensitive nature of the task, we do recommend consulting or hiring a professional to assist with the link pruning and assessment process. instead of telling them how to use a tool that they may cripple themselves with? Can anyone help me to identify that. please share a post on this topic.